Sara and her family live between the 4 Lakes nearby Varese. Their Villa's name is "Casamia", a place that fits for those loving lakes, peace, silence, outings by bicycle or playing golf. From here it's possible to visit wonderful places like the Eremo of Saint Catherine, only 12 km far away, the well known Sacro Monte di Varese (Unesco Human Heritage) or the Borromee group of Islands where you can get to by boat from the closed Ispra. 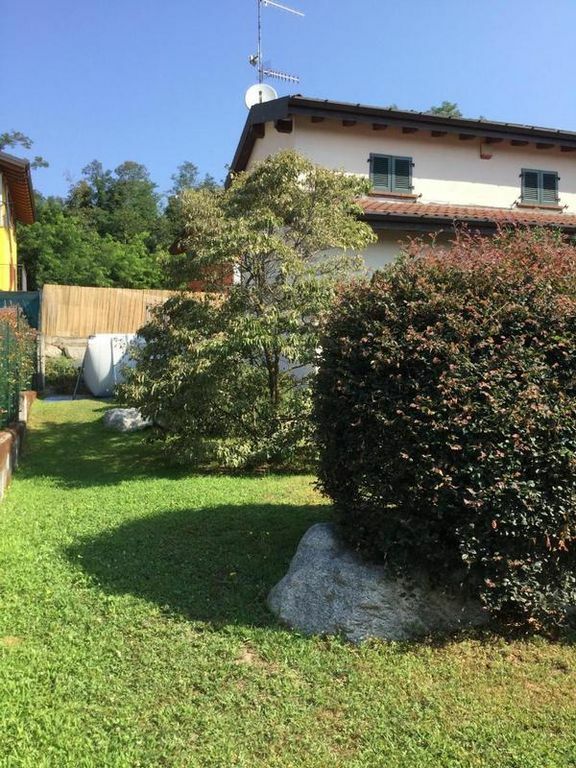 Only 300 mt separate the Villa from the beach of the Lake of Monate. At the ground floor they rent a cozy apartment of 40 mq, just renovated, with an indipendent entrance, one double room, a living room with tv, sofa bed and a kitchenette with oven, microwave, cattle, fridge and freezer. In the beautiful garden you can find a private area with table, chairs and barbecue and a refresching swimming pool (5,40 mt X 2,78 mt x 1,33ht) to share with the owner. Heating: included in price (Mandatory). Gas: included in price (Mandatory). Final cleaning: once per object Costs amounting to 45 EUR (Mandatory). Water: per object and day included in price (Mandatory). Pet: per object and day included in price (Mandatory). Cot (per property and day, included in price 0 EUR).